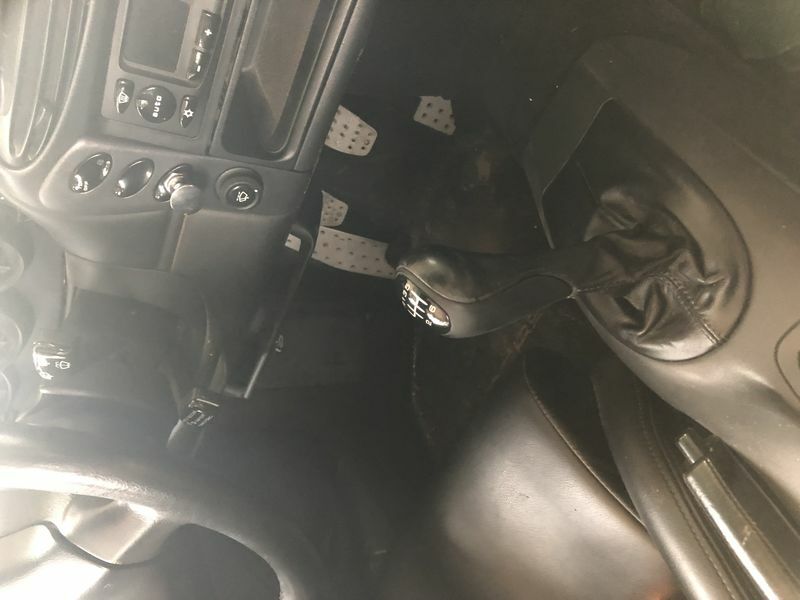 I get a lot of shifter knobs where the boot leather is in good condition but the silver paint has worn away. I decided to take one and see if I could remove the silver paint without harming the leather or clear plastic on top. This is the knob i started with. I started removing the paint using just a scuff pad. That was taking too long so I used some of my wife's nail polish remover to help soften up the paint. 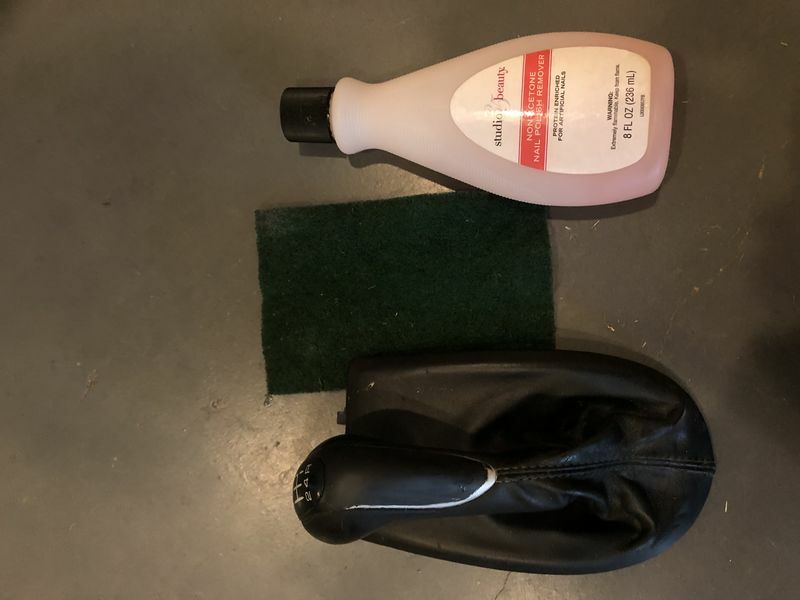 With the nail polish remover and a scuff pad, the paint came off very easily without damaging the leather or the plastic underneath the paint. The problem that arised is that I cant get very close to the edges without scuffing up the leather. I whipped out the dremmel and this is where things went for the worse. I started with the wire wheel and at first it seemed like it was doing the trick. The wire wheel was removing the paint but it was also removing the plastic too. I lowered the speed and that helped remove only the paint. The damage had been done though. In an attempt to fix the plastic that had been damaged by the wire wheel I switched to a buffing pad. Big mistake! The buffing pad started melting the plastic and made everything 10 times worse. Instead of valleys cut into the plastic from the wire wheel, I now had valleys and hills. I then attached the drum sander on the dremmel and attempted to smooth the whole surface down. This is where I'm at right now. I have a surface that could be painted and should come out smooth. 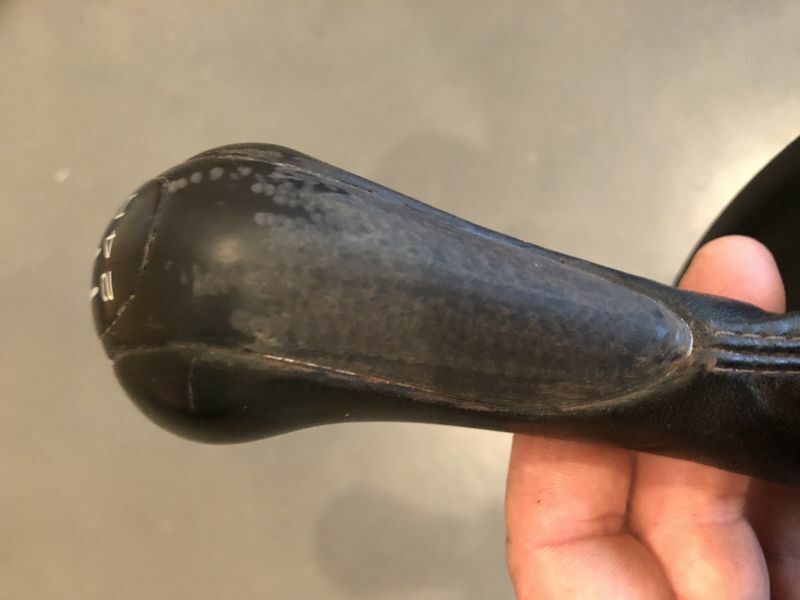 The brown you see on the edges of the leather is buffing compound residue. I was kind of hoping to just strip the paint though. 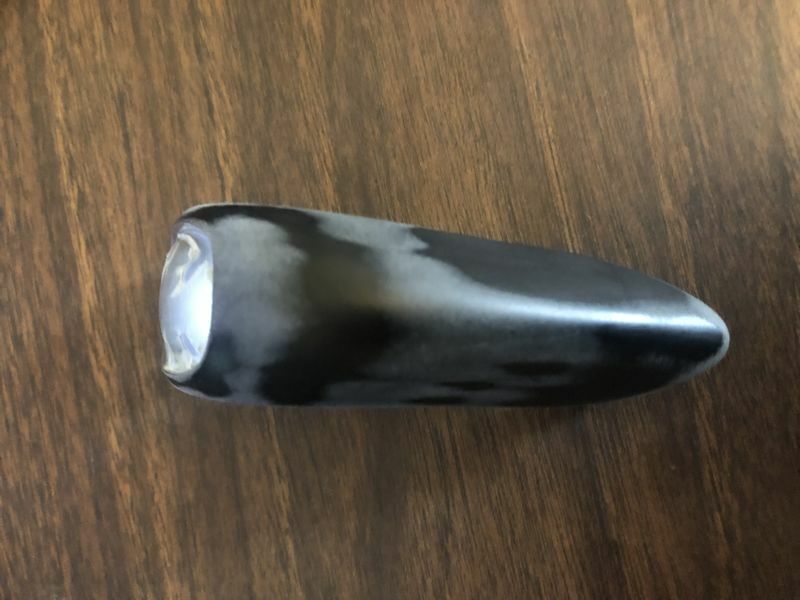 I refinished my shift knob recently, and it turned out great. 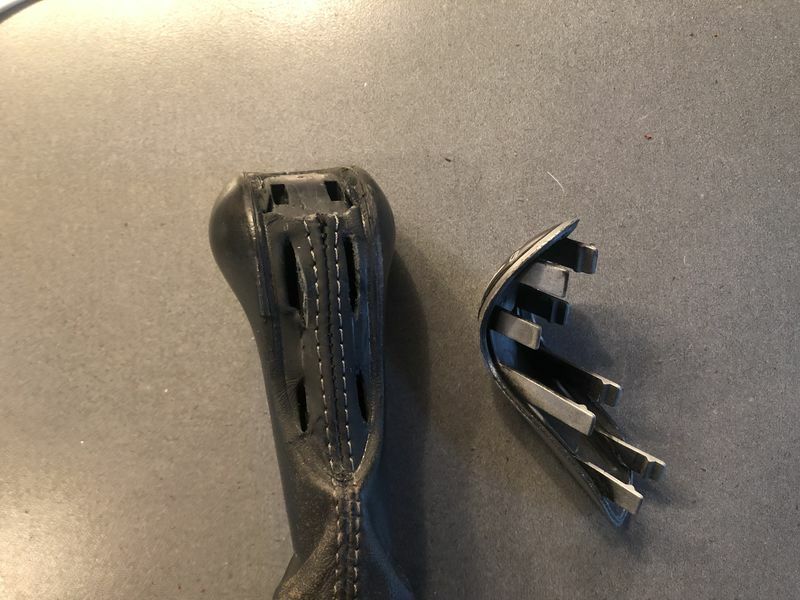 Just pop the plastic (silver) part out of the shift lever. You need to gently pry up on the edges with something fairly soft, like a popsicle stick. 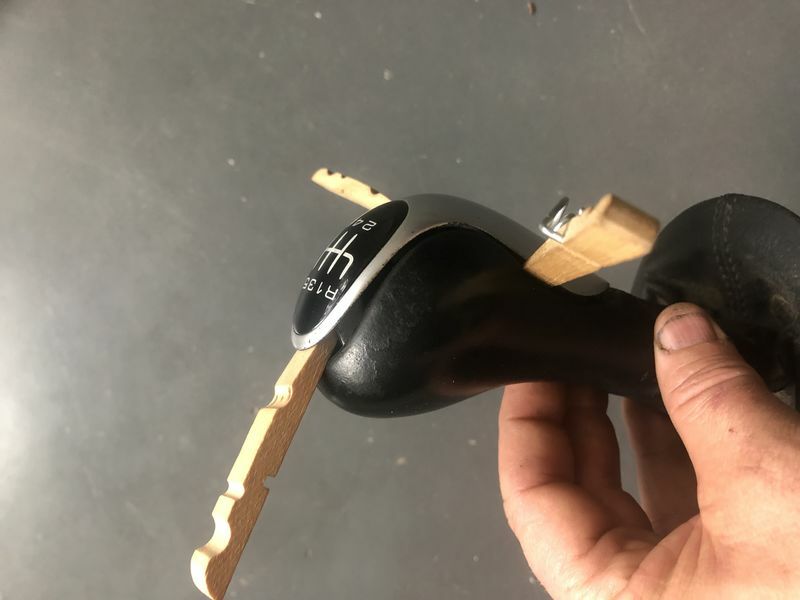 The plastic piece snaps into the knob from the top, not the side. 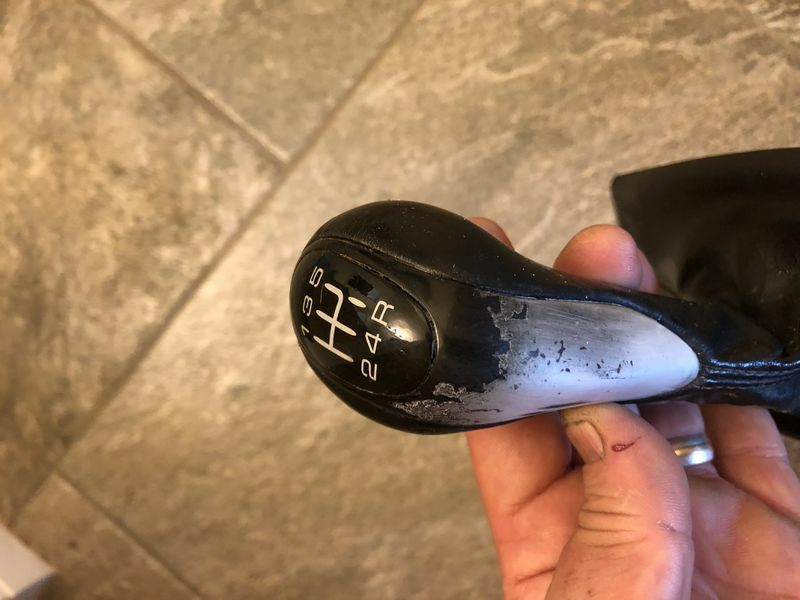 Once you get it off of the knob, then you can strip it of the paint, or re-paint it. I used some generic silver paint, then used clearcoat over that. I think I did two coats of silver, and three light coats of the clear, all rattle cans. This was a project that turned out to be easier than I expected! FYI: the shift map pops out fairly easily, too. It's secured with thin double sided tape. Yeah those fall off quite often. I removed the map out of this one before trying to strip the paint. The nail polish remover didn't work as good on this one as the paint was in better condition. While scrubbing off the paint with the scrub pad I also sanded through the plastic clear coat in spots. I grabbed some 2000 sand paper and attempted to sand off all the clear coat too. I then applied Turtle Wax plastic restore. That stuff has worked magic on other plastic pieces I've used it on. This time wasn't as magical. It's too cold to paint right now, but I'll probably take it apart again and paint it. It matches well with the dash leather but is not as shiny as the boot leather. The plastic's natural clear coat matches perfectly. I think using some other kind of paint removal where you dont have to scrub as much would be better. I’ve done this project some years ago and it turned out great and has held up well. Three coats of silver with a very light sanding in between and then three coats of clear with some more lights standings. A little time consuming but worth the results.